We are the first tier of elected local Government, providing a link between the village community and County and District Councillors and MPs. We spend between £6-7,000 a year raised via a parish precept which is collected as part of the Council Tax. The Parish Council has responsibilities including commenting on Planning Applications, liaising with Highways Authority on issues such as road signs, pot holes, verges etc, traffic, Community safety, litter, rights of way and the maintenance of Village assets which include the Sports Ground and village greens, defibrillator and Reading Room. 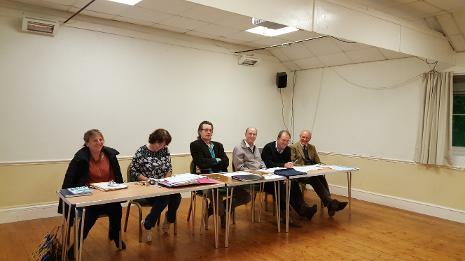 The minutes of the last parish council meeting held on the 16th January 2019 can be found here. Will be held on Wednesday 20th March 2019 in the Reading Room at 7pm. The agenda can be found here.